Downton Abbey was nominated for a Screen Actors Guild Award for Outstanding Performance by an Ensemble in a Drama Series. And although the show didn’t win this year, the stars of Downton Abbey dazzled everyone on the red carpet. Michelle Dockery left Lady Mary in the dust in this low-cut stunner of a dress. Lady Edith may be the middle child but there is no way Laura Carmichael could be overlooked in this dress. Sophie McShera may be dowdy in the Downton kitchen but on the red carpet she is glamorous. Well done, ladies!!! You look marvelous!! 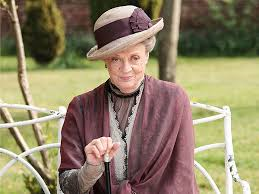 The Screen Actors Guild Awards were on last night and Downton Abbey’s very own Maggie Smith won for Outstanding Performance by a Female Actor in a Drama Series. She was up against some tough competition also. Unfortunately, Downton Abbey did not win in its nominated category of Outstanding Performance by an Ensemble in a Drama Series. The show was up against Boardwalk Empire (HBO), Breaking Bad (AMC), Game of Thrones (HBO), and Homeland(Showtime). Breaking Bad ultimately won. 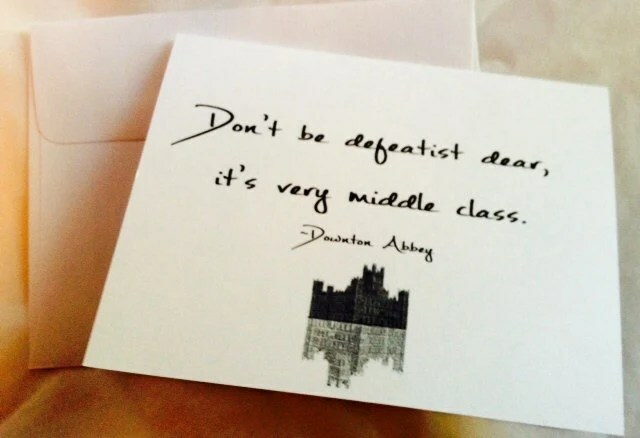 I guess Meth Dealers beat Aristocracy these days. There is no accounting for a lack of taste in Hollywood. 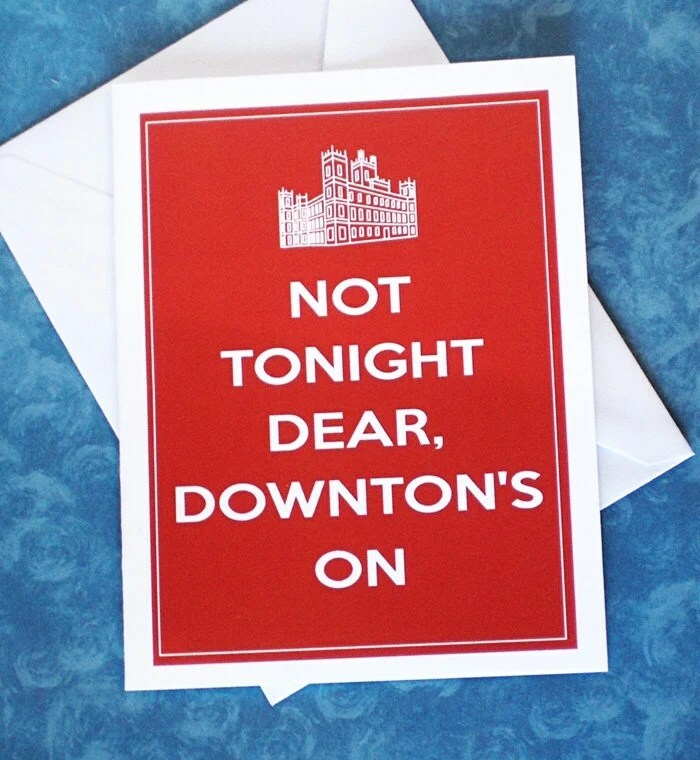 Have you ever wanted to show your friends and family a card but also wanted to show them your love of Downton Abbey? 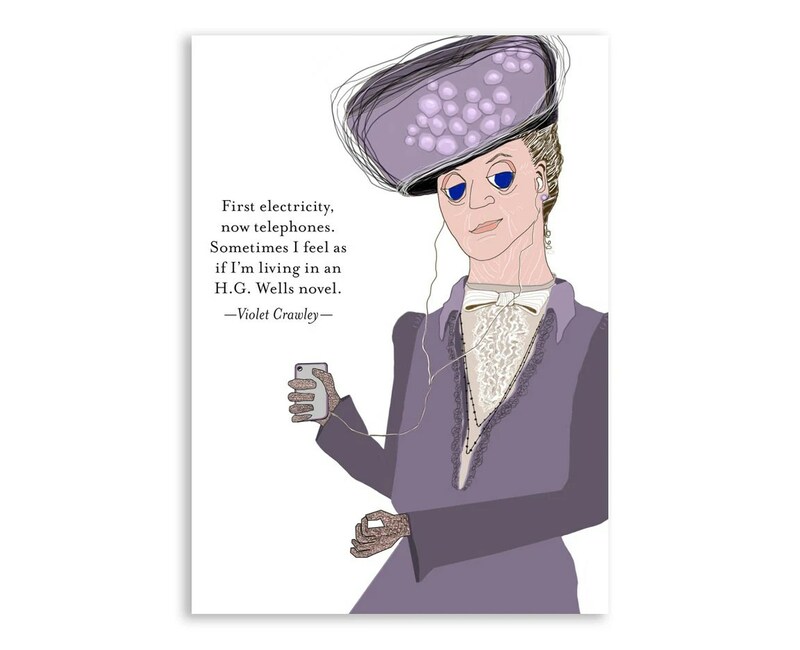 Well, my Downton friends, I have found the cards for you to send your friends and family with lots of style and pinch of panache and a lot of Downton pride. 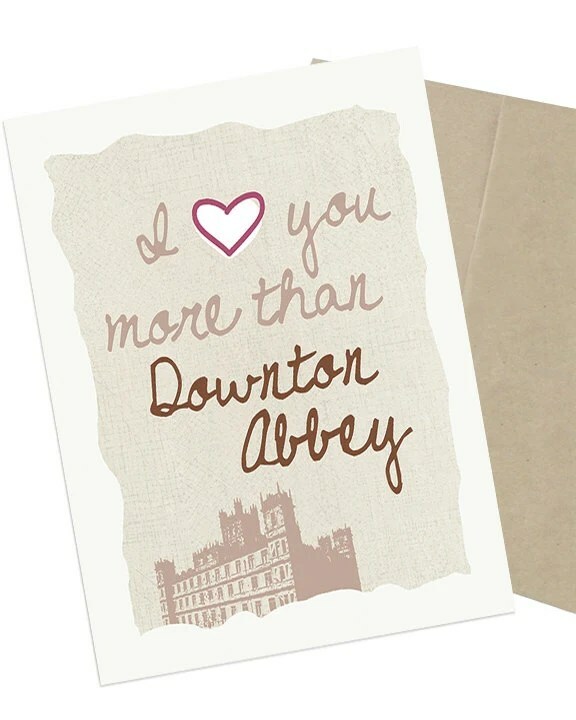 These cards from Foxy and Winston would make great Valentine’s Day cards to let your sweetheart know that although you don’t want to be disturbed when Downton Abbey is on, you still love them. 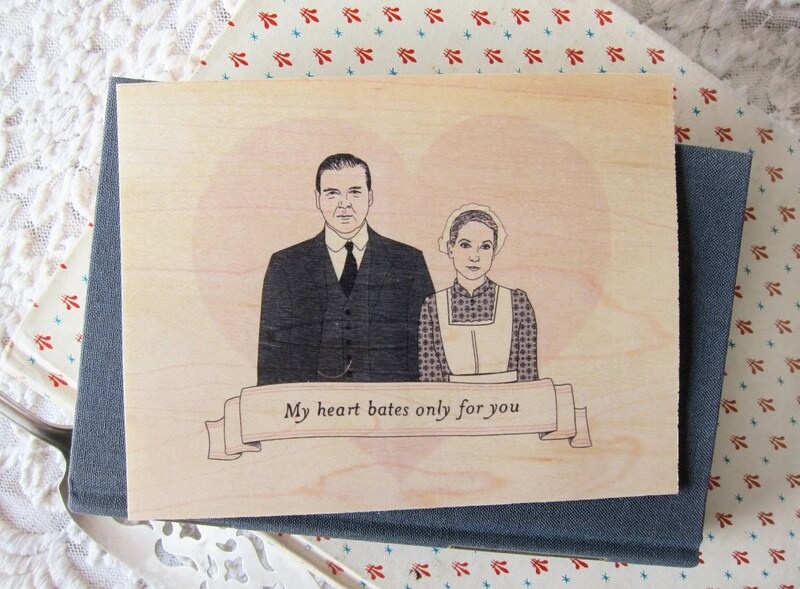 Sometimes you just can’t avoid a bad pun when it is your favorite downstairs Downton couple. It is always appropriate to send a Countess zinger to your friends. 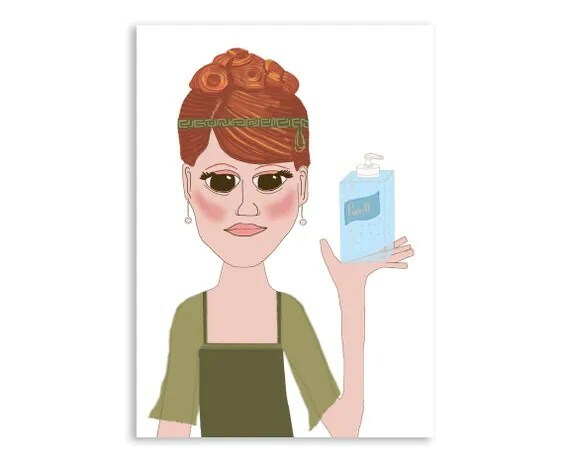 These cards will definitely show your quirkier side. And the next time you aren’t in the “mood”, just use this card instead of using that old headache excuse. Golden Globe Awards or Downton Abbey??? 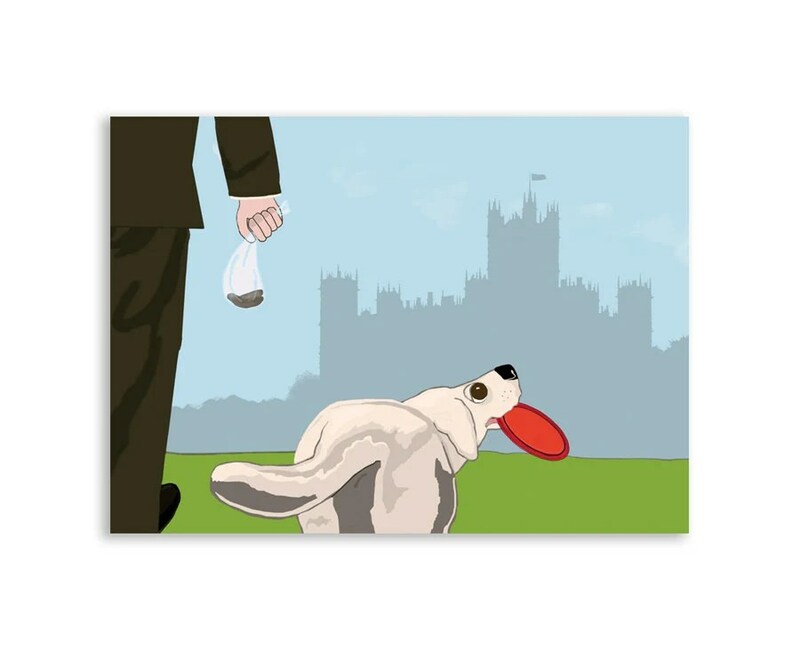 It wouldn’t be such an issue if Downton Abbey was shown on regular TV station but it is shown on PBS and that means NO commercials (or bathroom breaks) so there is no opportunity to switch stations. Thank goodness for DVRs!!! 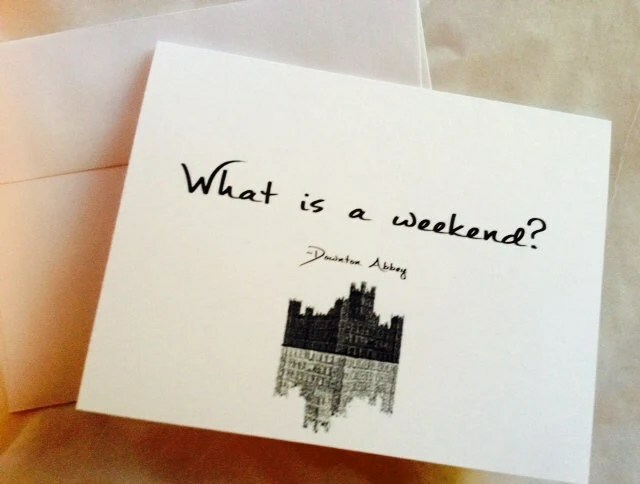 Enjoy your Sunday night indulgence of Downton goodness, my fellow Downtonians!!! And good luck to the cast of Downton Abbey at the Golden Globe Awards. We can’t wait to see “who you are wearing”!! The Time is Near!!! Season 4 Begins!!! It has been a LONG, LONG, LONG wait for U.S. viewers of Downton Abbey to see Season 4 but the wait is almost over!! Tomorrow, Sunday, January 5th at 9 p.m. (Eastern time) we will finally get to see our favorite characters and how they have faired since Season 3. But it is time to put all of that in the past and to find out what happens in Season 4!!! Will Lady Mary ever be able to get over Matthew’s death? Will O’Brien still be causing problems at Downton? Will Lady Edith ever find true love? How are Lord and Lady G handling the death of the beloved Lady Sybil? Will Tom Branson be able to move on from Sybil’s death? Will Lady Rose cause more problems at Downton or will she be a breath of fresh air? Will we ever be able to forgive Dan Stevens for leaving the show and forcing Julian Fellowes to ruin Christmas night for so many people by killing off Matthew??? Inquiring minds want to know!!!! Tune in tomorrow night to see if all of our questions will be answered. I will be reviewing each episode of the show, so be sure to look for future posts on all the exploits of the residents of Downton Abbey. 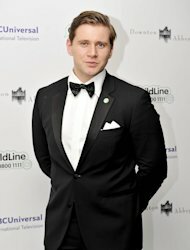 Allen Leech, who plays former chauffeur and present estate manager Tom Branson on Downton Abbey, is moving to the big screen for his latest role in the chilling British horror film In Fear. The move will be in theatres on November 15 and was directed by Sherlock director Jeremy Lovering. In the film, Leech plays Max, a local oddball who terrorizes a young couple when they get lost on their way to a music festival as it is becoming dark. To keep the tension on set as real as possible, only Leech was given the full storylines so his co-stars Iain De Caestecker and Alice Englert would be realistically scared. At first, the other actors weren’t quite sure whether to trust me or not,” he explains, laughing. I played the game that I didn’t know what was happening either. It was only in the last couple of days that they turned around and went, ‘You’re quite evil’. And that’s when they didn’t really hang around with me so much..
Allen Leech welcomed the chance to shed his nice-guy image from Downton Abbey. Playing someone who’s so different from anything I’ve done before is really lovely, because you get to stretch yourself,” he says. “I got to go to a part of myself that, thankfully, I normally wouldn’t. In Fear was first screened at the Sundance Film Festival this past January. And according to imdb.com, there are only three cast members. Since I don’t do scary movies, my fellow Downtonians will have to go in my stead to support Allen Leech in his new endeavor and report back how it was. Happy Belated Birthday, Hugh Bonneville! As we all know, Hugh Bonneville plays Robert Crawley, Earl of Grantham on our beloved Downtown Abbey. 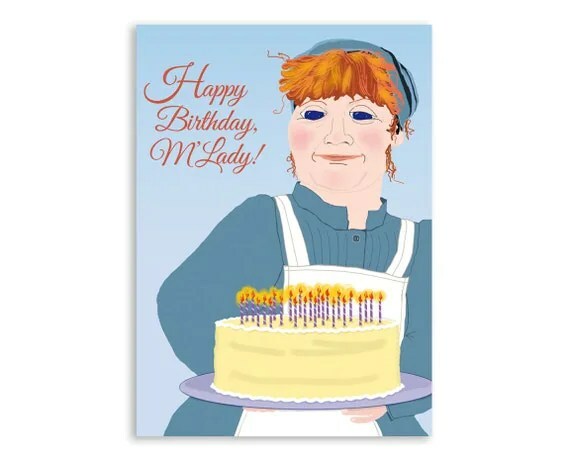 I wonder if Mrs. Patmore let Daisy make a birthday cake for Lord G? Downton Abbey gets 5th Season!!! Come war and peace, Downton still stands and the Crawleys are still in it for another season!!! Hooray!! Just as season four of Downton Abbey is ending, ITV announced that Downton Abbey will be picked up for a fifth season. Julian Fellowes will return to write the series, which is expected to air next year. “We promise all the usual highs and lows, romance, drama and comedy,” said Gareth Neame, director of Downton Abbey creators Carnival Films. It shouldn’t come as a complete shock though. The latest series has had average viewing figures of 11.8 million. And 12.3 million Americans tuned in to the finale of season three making it the highest-rated show of the day, and breaking the viewership record for broadcaster PBS. With numbers like that, the producers would be crazy not to continue Downton Abbey for at least one more season. I, for one, will go out on a limb and state with no hesitation that I will be watching season five of my beloved Downton Abbey. Will you do the same? Downton Abbey Season Four finished tonight in the U.K. and the rest of the world is still waiting patiently for January 2014 to get here so we can watch our favorite show. Although I must confess, I did sneak a peek at Season Four. I’m sorry!!! I just couldn’t help it. But my fellow Downtonians, who play by the rules, this will continue to be a spoiler free zone. Sadly, the rest of the world must be satisfied to pre-order the DVDs on Amazon.com. At least we won’t have to wait for the entire season to be finished before the Season Four DVDs are shipped – only until January 28, 2014.